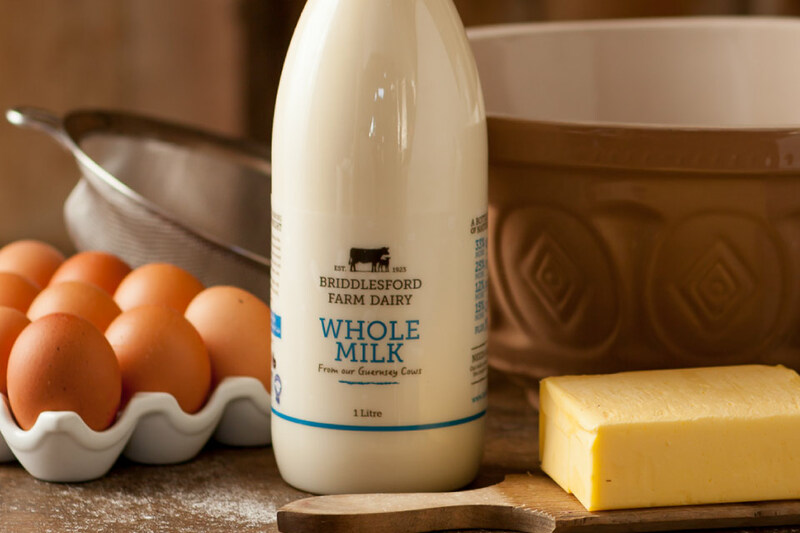 Our award winning Briddlesford Whole Milk is our most popular product. 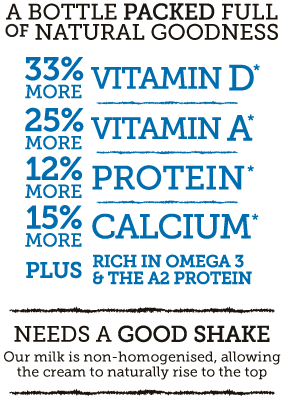 Simply drink on its own or enjoy as a milkshake. The higher cream content makes it excellent for cooking and baking as well as a fantastic compliment to everyday coffee and cereals. 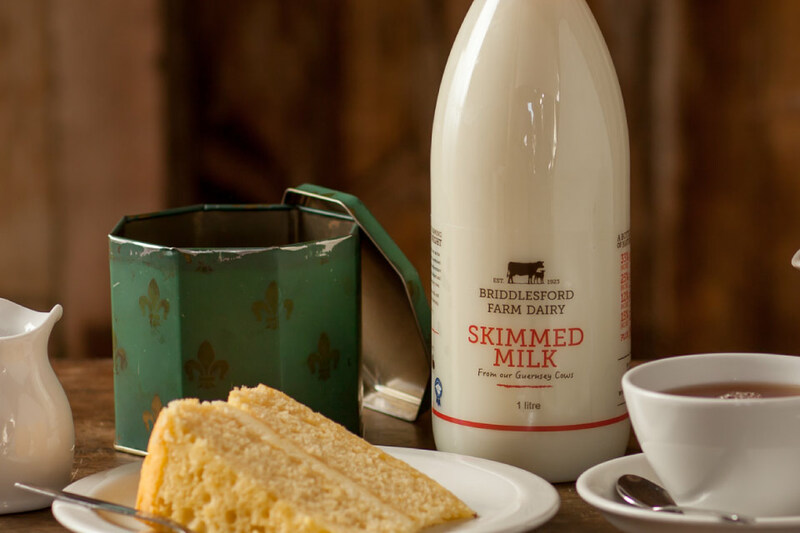 Our Whole Milk is non-homogenised so the cream will rise to the top (like many will remember from their childhood). 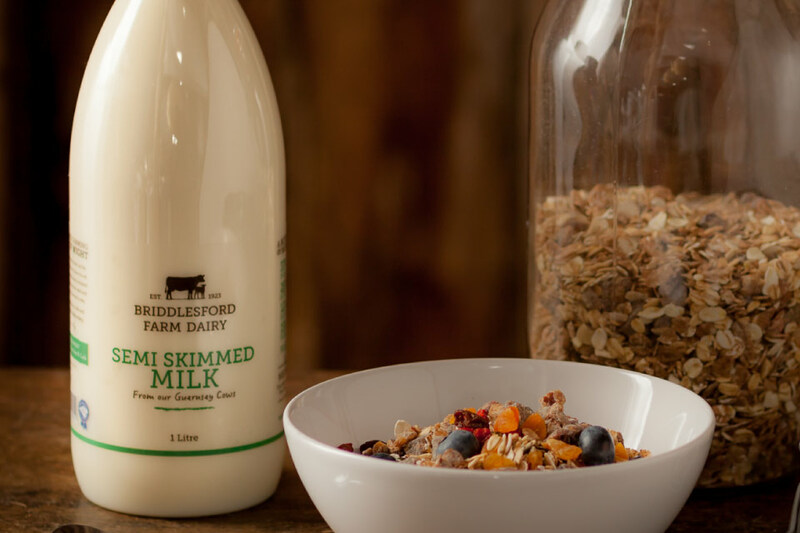 So either give it a good shake to disperse the cream or alternatively, scoop out the cream for an indulgent extra on top of your breakfast cereal or morning coffee. We like it warm with added honey and spices before bed for a perfect nights sleep.